TopOfThePopUps (great name) is a new supper club from Bermondsey which has expanded out of the confines of the founder's flat, and is now hosting a three night stand at The Dead Dolls Club in Dalston. You get seven dishes for £30, and Tara promises that it'll be scrumdiddlyumptious! 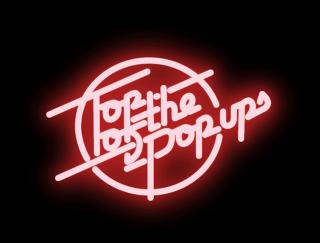 So why not embrace your inner foodie and come on up to find out why we are Topofthepopups. This month we are delighted to announce our August nights (19th, 20th & 21st) will take place at the awesome Dead Dolls Club in Dalston, 428 Kingsland Road, E8 4AA. Not to be confused with their sister venue The Dead Dolls House in Hoxton. Delicious drinks can be purchased from Dead Dolls Club and Topofthepopups will provide the scrumdiddlyumptious food! The menu for August will see Topofthepopups present a Seafood Special with an Asian twist. Diners can expect a 7 dish set menu packed full of fresh flavours and fragrant spices. Please let us know if your require the vegetarian options.